Will Honors Colleges Be the Last, Best Hope for Humanities and ‘Civic Education’? Attacks on the humanities and social sciences have increased since the Great Recession, even at a time when the critical thinking skills associated with these disciplines are urgently needed to navigate the sometimes bizarre world of facts, alternative facts, distortions, and outright lies. The economic downturn along with rising college tuition costs forced many parents and prospective college students to zero in on courses of study that provide near-term financial results and security. The trend is so strong that, recently, the University of Wisconsin at Stevens Point announced a plan to eliminate 13 humanities and social science majors. These include English (excluding English for teacher certification); French; geography and geosciences; German; history (excluding social science for teacher certification); philosophy; political science; sociology; and Spanish. Studies consistently show that voters with college degrees turn out in greater numbers than those with lower levels of education, but among college-educated voters it is likely that the type of coursework taken in college is an additional contributing factor to greater and more perceptive participation in civic life. Many public universities are unable to offer small, discussion-focused classes in these disciplines. The authors contend that larger lecture sections do not develop “the classic skills associated with politics: language, rhetoric, public speaking, debate, and critical thinking.” Students can, however, develop these skills in an honors college or program that offers small seminar sections in Gen Ed courses. Humanities and social science departments have for centuries sought to inculcate these “classic skills.” For years they have been losing faculty; now, with the elimination of majors, more faculty will be cut and course sections will be reduced, probably leading to larger classes with no opportunity for discussion. Where will these disciplines, with their manifold intersections, survive in a format conducive to civic education? 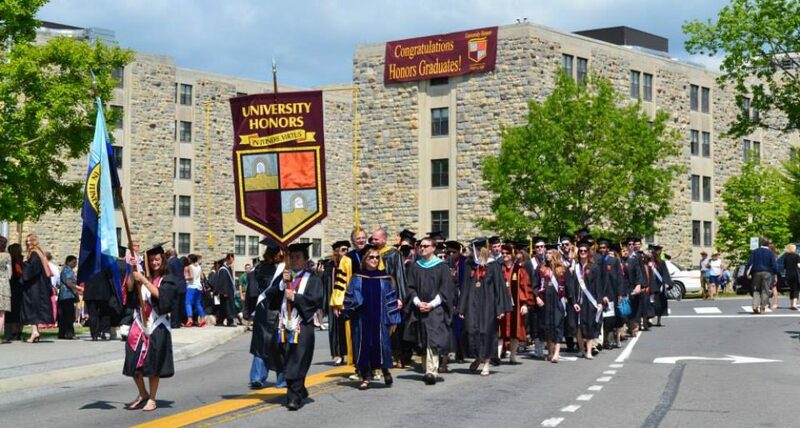 Honors colleges and programs–and the mission is critical. On the other hand, Hester and Besing write, the “University of Alabama (UA) Honors College has an explicit goal of developing ‘agents of social change.’ At the heart of the honors experience are three-hour, interdisciplinary, honors seminars for no more than fifteen students. To graduate with honors, UA students must complete no fewer than six hours of seminar credit, but often students complete more.